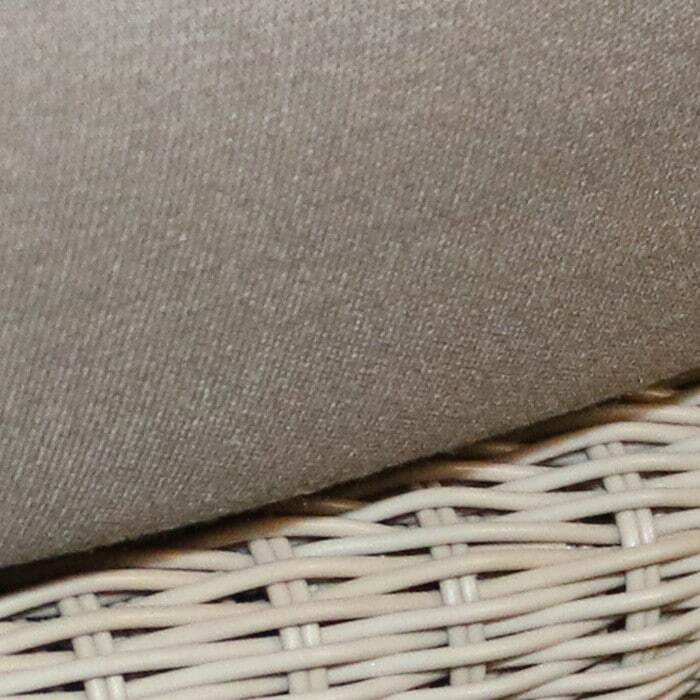 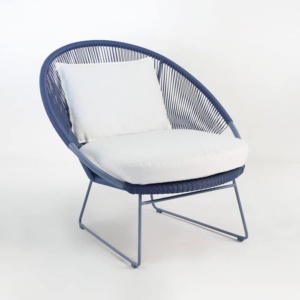 If the deep-seated Sunbrella® cushions of the Natalie Outdoor Chair won’t entice you to relax in bucket-seating goodness, perhaps the unique, airy wicker weave of this relaxing chair will. This low profile all-weather wicker chair has a contemporary style and weave made of Ecolene® outdoor weave fibre that won’t degrade or lose its colour. 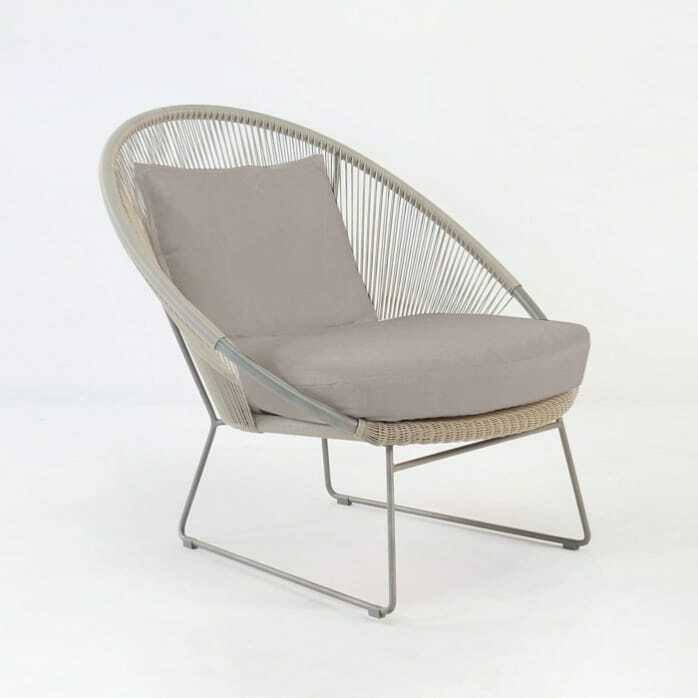 Environmentally friendly, with a textured surface, the chair looks and feels like natural rattan that’s tightly woven around a powder-coated steel and aluminium frame. 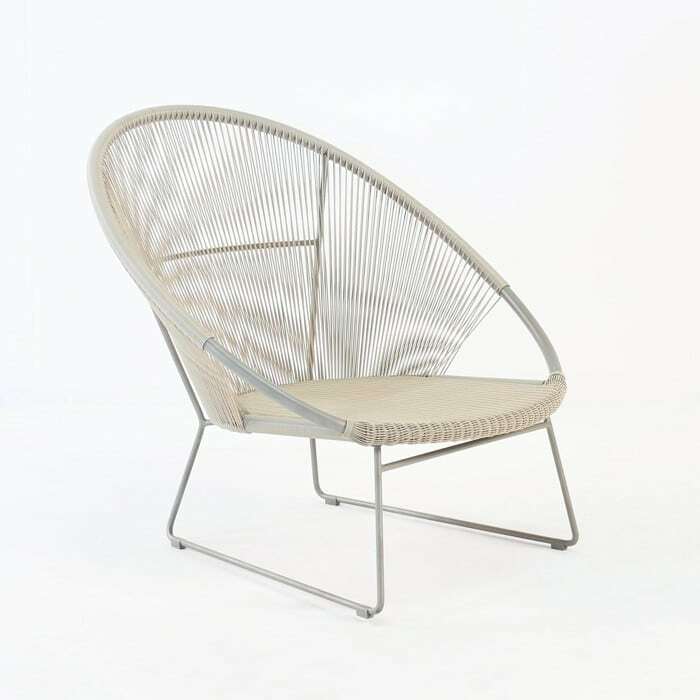 The Natalie Outdoor chair is lightweight and versatile enough to be moved anywhere in your outdoor living space and it easily complements other types of outdoor furniture, like teak, stainless steel and raw concrete, also available from Design Warehouse. 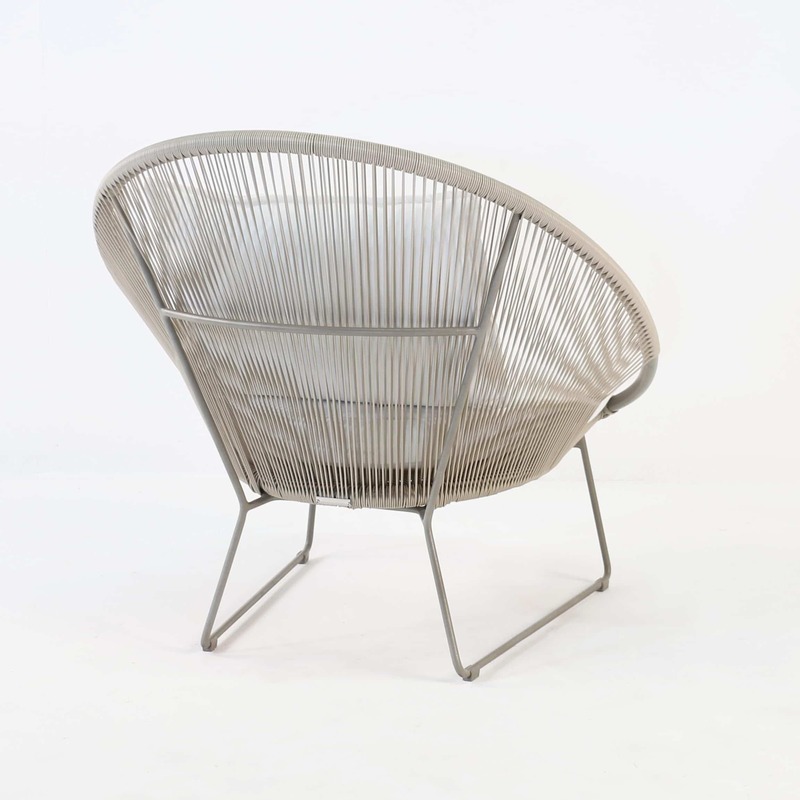 The Sunbrella fabric cushions are included with this chair, and available in a range of colours. 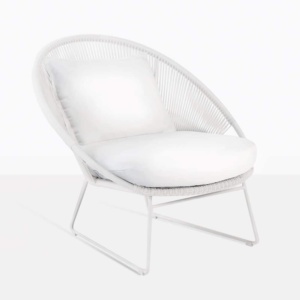 Built for comfort and longevity, you won’t be disappointed with the Natalie outdoor chair.